What is the difference between double-hung windows and sliding windows? Although both offer the versatility of two moveable window panes, sliding windows open horizontally (side-to-side) instead of vertically. If you are looking for versatility and a sleek, modern look for your home’s windows, turn to the sliding window experts at Gerald Jones Company. We have experience installing sliding windows in homes across Durham and beyond. Whether you are looking for basic sliding windows or custom replacement windows that give your home that “wow” factor, you can trust our window experts at Gerald Jones Company to get the job done right. Why Choose Sliding Windows For Your Raleigh-Durham Home? At Gerald Jones Company, we sell and install only the highest-quality sliding windows. 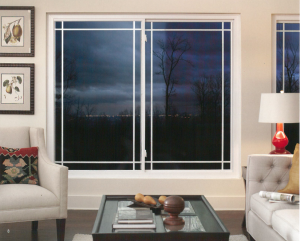 We carry a wide variety of sliding window brands, types, colors and styling options. If you are unsure what kind of sliding windows you want in your home, our home improvement specialists would be happy to help you find the perfect ones. Contact us today for a free estimate or for more information. Gerald Jones Company is proud to serve homeowners in Cary, Apex, Morrisville, Raleigh, Chapel Hill, North Raleigh, Durham, Hillsborough, Carrboro, Mebane, Roxboro, Creedmoor and surrounding areas of NC.